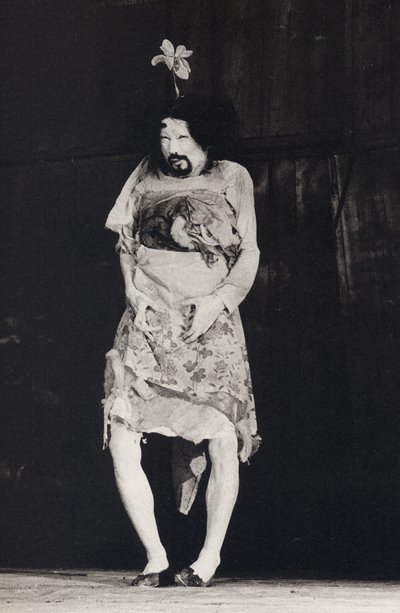 Words and language were at the heart of Tatsumi Hijikata’s Butoh. He was inspired by literature, wrote about butoh, talked about it, and choreographed his dancers with verbal imagery. 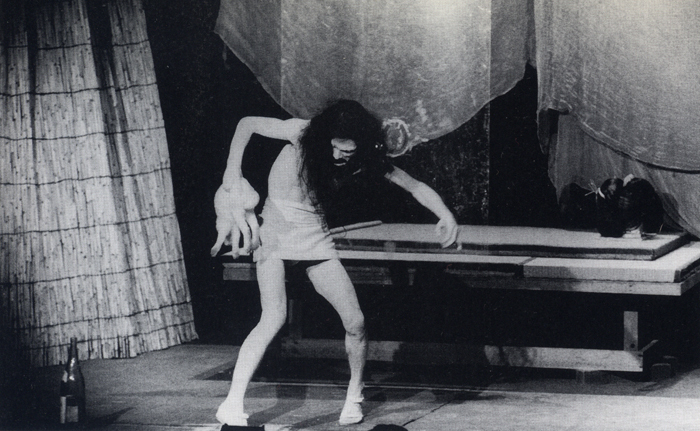 His words illuminate many of the mysteries behind Butoh. Here are some of them. “Western dance begins with its feet firmly planted on the ground whereas butoh begins with a dance wherein the dancer tries in vain to find his feet. What has happened to the tucked-in feet? “I’m convinced that a pre-made dance, a dance made to be shown is of no interest. The dance should be caressed and fondled; here I’m not talking about a humorous dance but rather an absurd dance. It must be absurd. It is a mirror which thaws fear. The dancer should dance in this spirit. “When one considers the body in relation to dance, it is then that one truly realizes what suffering is: it is a part of our lives. No matter how much we search for it from the outside there is no way we can find it without delving into ourselvers. “We are broken from birth. We are only corpses standing in the shadow of life. Therefore what is the point of becoming a professional dancer? If a man becomes a laborer and a woman a servant, isn’t that enough in itself? 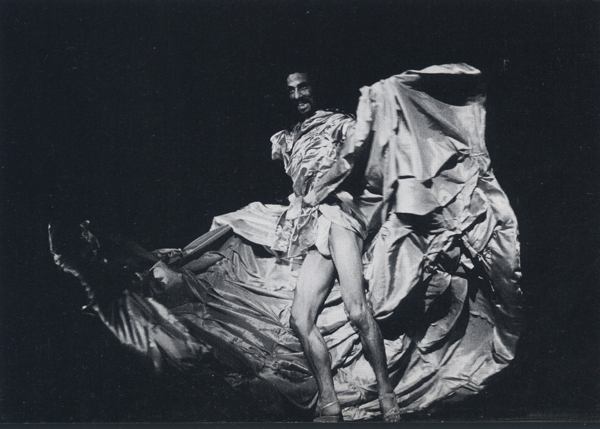 “That is the essense of butoh – and that is how I lead my communal life. “We should live in the present. We should do what we have to do now and not keep putting it on the long finger as the majority of adults do. That is why they exhaust themseves. For children, there is only the present. They are not afraid. Fear envelops us in a fine mesh. We must remove this mesh.